Clark Seif Clark (CSC) provides industrial hygiene services to protect workers from exposure to microbial pathogens and hazardous substances. The Occupational Safety & Health Administration (OSHA) reports that work-related eye injuries cost more than $300 million per year in lost production time, medical expenses and worker compensation. Many different types of industries are required to install and maintain eyewash stations for their employees’ safety and health. These eyewash stations are an important safety device that can be instrumental for mitigating a number of different types of eye injuries. The Occupational Safety & Health Administration (OSHA) reports that work-related eye injuries cost more than $300 million per year in lost production time, medical expenses and worker compensation. Eyewash stations, whether permanently connected to a source of potable water or having self-contained flushing fluid, can help save workers’ eyesight and reduce costs associated with eye injuries. However, eyewash stations require proper maintenance or they may present health hazards that can worsen or cause additional damage to a worker’s eye. 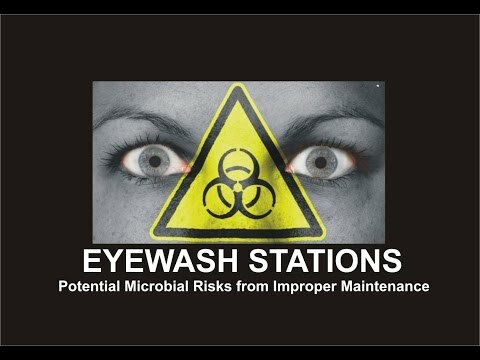 According to OSHA, water found in improperly maintained eyewash stations is more likely to contain microorganisms that thrive in stagnant or untreated water and are known to cause infections. To learn more about microbial testing and monitoring or other occupational, environmental, indoor air quality, health and safety and consulting services, please visit www.csceng.com, email csc@csceng.com or call (800) 807-1118.